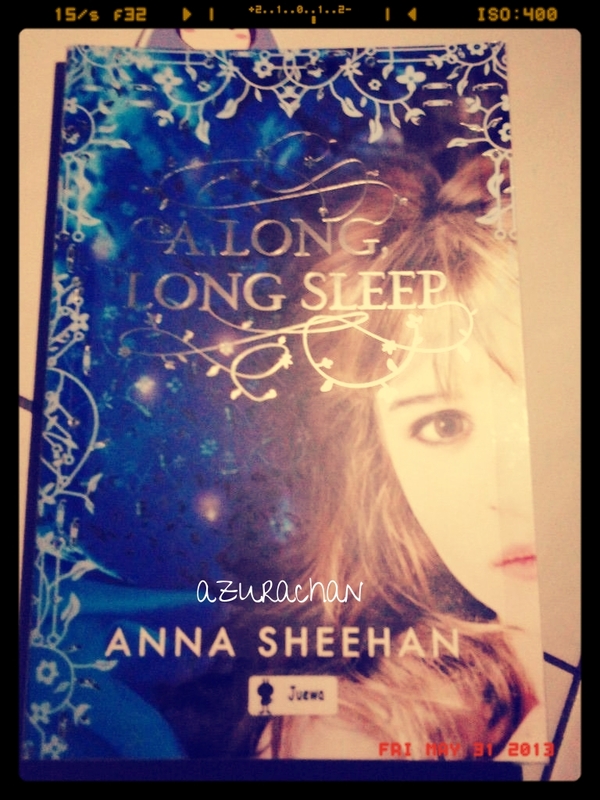 ** A sleeping beauty story? Something like that. Yeah, I love fantasy genre. That’s why I grab this book at the book fair. My drug for a loong holiday. Selamat Hari Gawai for those who celebrates. Gayu Guru Gerai Nyamai! 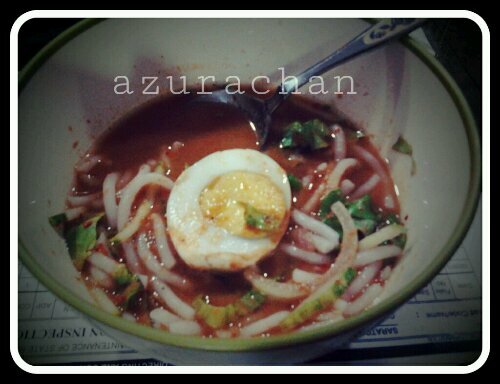 Had Penang Laksa for my breakfast. This portion cost only RM2. Can be found at the entrance of Kampung Haji Baki. My friend said it was made by West Malaysian people. No wonder it taste perfect! 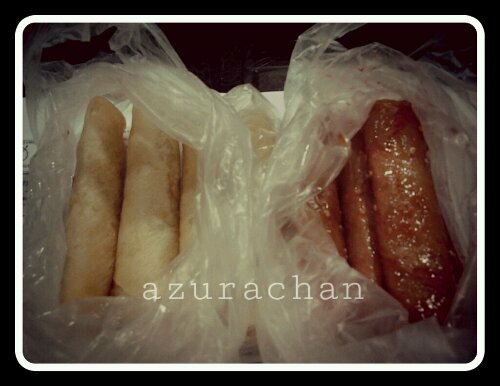 Two types of Popiah. 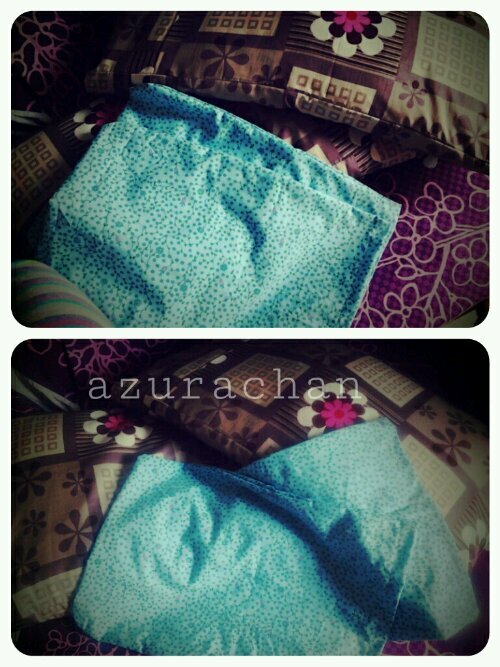 All of these cost only for RM2 as well. 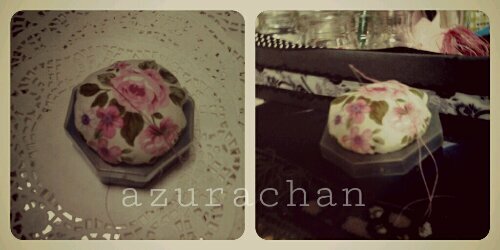 (4 pieces for RM1). I prefer the one with sweet gravvy. It’s crunchier than the dry one. The root word is Berolah. It’s from our dialect (Malay Sarawakian). What does it mean? Look at Amani in the picture below and I bet you’ll get the answer. 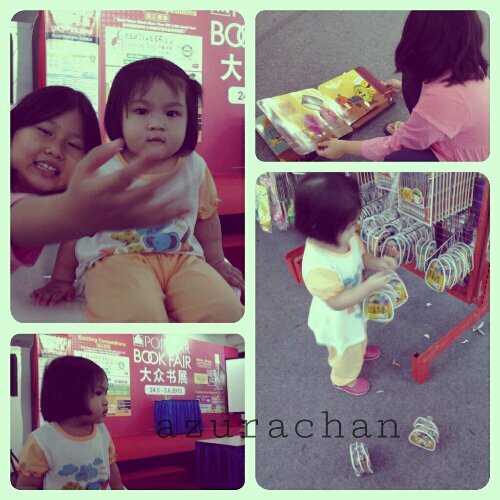 Another Popular book fair is being held in Kuching from 24th May until 3rd June 2013. I’ve been twice time a day there. The first trip was with my office colleagues. 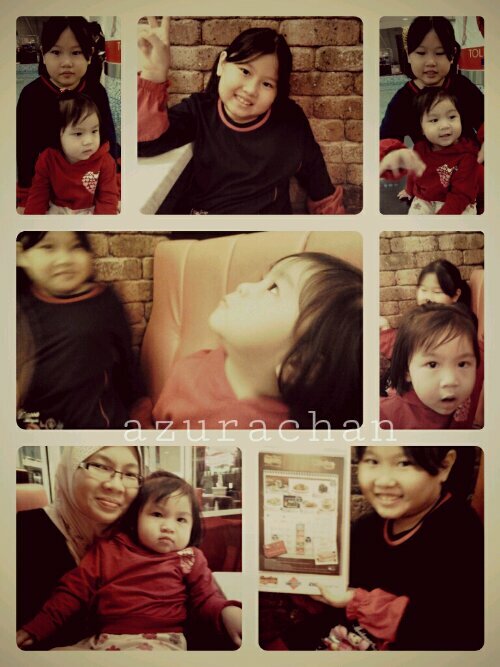 The second trip, I brought along Amani and Yaya. So here’s my catch for the day. 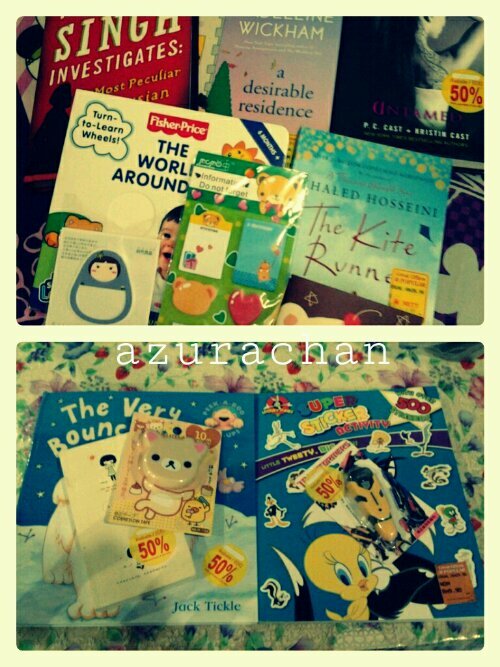 Managed to grab only 4 novels, some fancy stationeries (my weakness), children books for Amani, Yaya and Adam. I’m planning to make another trip before it ends next week. Hopefully there’ll be a new stock. My weekend was full with activities with my family. On Saturday, after accompanying my dad for his ‘dressing’ day we went to Giant. 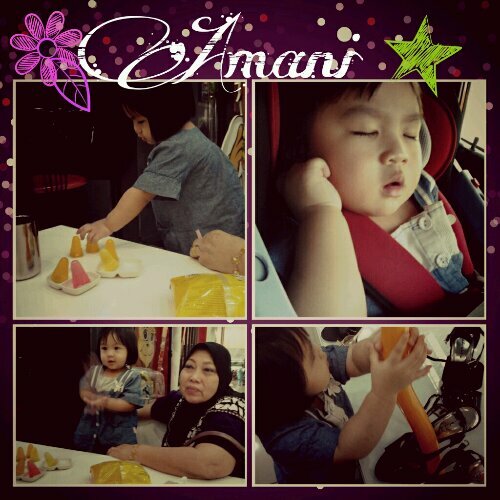 Bring along my mom and Amani as well. Challenging task! I was extremely exhausted I tell you. Feels like am having five kids. Muahaha. 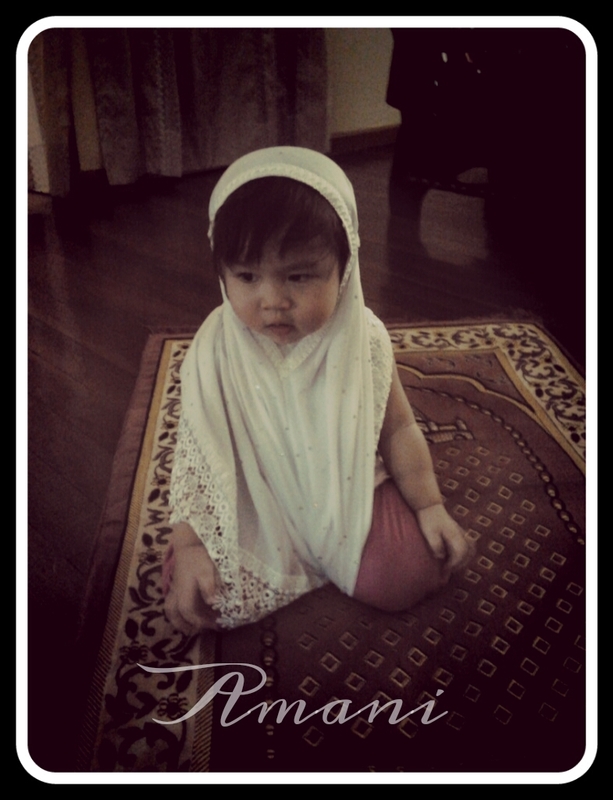 Amani is learning to talk now. Sometimes it’s fun hearing her mumbles and babbling about nothing. One day she was behaving badly like jumping here and there, just like a boy. 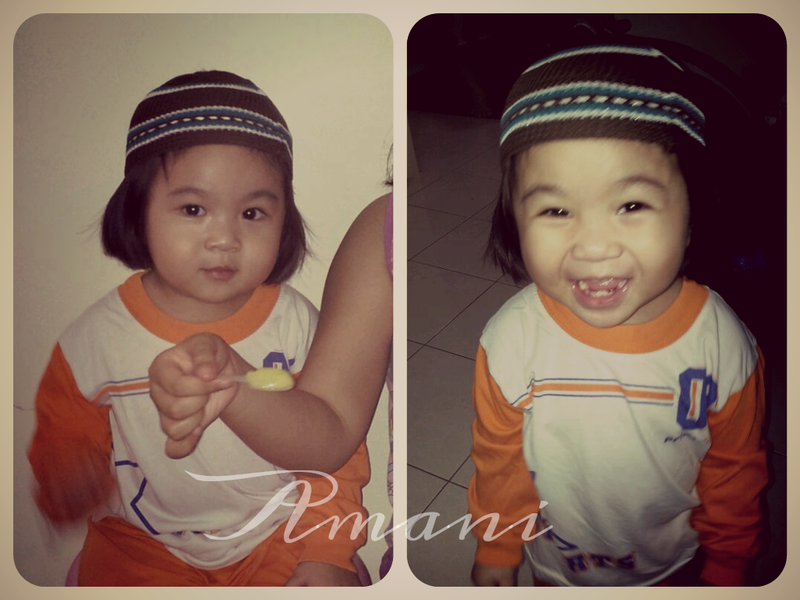 With a sigh, I asked her “Amani boy or girl? One day I tricked her to continue the phrase..